Photograph of SCP-2385's entrance, prior to the establishment of Observation Site-2385. 제2385관측기지가 설립되기 이전에 촬영된 SCP-2385 입구 사진. Special Containment Procedures: Observation Site-2385 has been established around the anomaly, and the quarry in which it was discovered has been purchased by the Foundation. An antechamber has been constructed around SCP-2385s entrance. Entry into SCP-2385 beyond the first 10 meters is prohibited. 특수 격리 절차: 변칙개체를 중심으로 제2385관측기지가 설립되었으며, 대상이 발견된 채석장은 재단이 매입했다. SCP-2385 입구 근처에 대기실이 설치되어있다. SCP-2385 입구로부터 내부로 10미터 넘게 들어가는 것은 금지된다. Instances of SCP-2385-1 that either stray towards, or are birthed near the entryway are to be lured into the antechamber. Specimen of Mus musculus are to be utilized for this purpose. The instance is to be tranquilized, and relocated to a containment pen. 진입로 쪽으로 벗어났거나, 진입로 근처에서 출현한 SCP-2385-1 개체는 대기실로 유인해야 한다. 유인에는 Mus musculus 표본을 사용한다. 개체는 진정시키고, 격리 우리로 옮긴다. Description: SCP-2385 is a subterranean network composed of undifferentiated human tissue. The matter is bioluminescent, emitting a constant 0.003 lm. The tunnels that make up the structure wind and interlock, forming a multicursal maze. 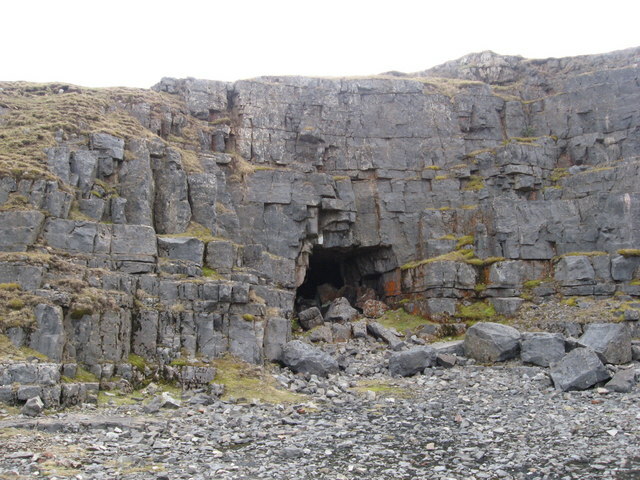 SCP-2385 has a single entrance point. Attempts to either access or assess SCP-2385 from the outside, via tunneling and ground-penetrating radar respectively, have been met with failure. Due to this, the true size of SCP-2385 is unknown. Mapping of the interior has also proven difficult, as its internal topography fluctuates sporadically. New paths will open in the walls, while other sections will close off. 설명: SCP-2385는 식별되지 않은 인간 세포조직으로 구성된 지하 연결망이다. 해당 물질은 0.003lm의 빛을 끊임없이 생물 발광한다. 해당 굴은 구불구불하고 맞물려있는 구조물로, 다중 미로를 형성하고 있다. SCP-2385는 단일 진입점을 가지고 있다. 굴착 및 지표침투 레이더를 사용해 외부에서 SCP-2385에 접근 혹은 측정하려는 시도는 각각 실패로 마무리되었다. 그러한 이유로, SCP-2385의 실제 크기는 불명이다. 내부 지형이 돌발적으로 변동을 거듭하기 때문에, 내부 지도 제작 또한 어려움이 입증되었다. 벽에 새로운 길이 열리면, 다른 부분은 차단된다. SCP-2385-1 and -2 are vermiform1 lifeforms which periodically grow within SCP-2385. SCP-2385-1 and -2 specimens typically range between one to four meters in length, with an average weight of 250kg. They possess humanoid heads which are connected to a muscular tail by a fatty midsection. SCP-2385-1 will violently assault anything they perceive to move, including each other. SCP-2385-1 will constrict incapacitated prey prior to consuming smaller organisms (and other SCP-2385-1) whole. SCP-2385-1 will attempt to penetrate larger prey, and consume them from within. A pair of pharyngeal jaws is used to manipulate prey items into the gullet. Instances will wander SCP-2385 with no apparent direction, and seem to be solely motivated by hunger. Research on specimens in captivity has revealed that they do not require sustenance, so the reason for this behavior is unknown. SCP-2385-2 instances are typically larger than their -1 counterparts, and are identifiable by a fibrous growth over their eyes. SCP-2385-2 are completely docile, and have never been observed feeding. They will converge with one another, and seem to travel through SCP-2385 with intent. One week's supply of rations. One Ruger LC9, as well as several reserve magazines. Very little information was gleaned, as D-11424 was struck by an instance of SCP-2385-1, and lost his camera 10 minutes into the exploration. Contact was lost, and D-11424 was presumed dead. Photograph taken by A-47. The instance pictured did not react to the presence of the drone. Foreword: A remote-controlled drone (A-47) is sent into SCP-2385. 00:01 The camera shakes as A-47 navigates the terrain. After ten meters, the path spirals clockwise, leading to an intersection. To the left, four SCP-2385-1 are engaging each other in combat, while another two lie motionless. A-47 is directed down the right path. 00:08 A-47 continues down the path, which at this point should place the drone back within Observational Site-2385. Over a dozen unborn SCP-2385-1 and -2 are growing throughout this hall [see attached photo], and A-47 is maneuvered around them. 00:19 An instance of SCP-2385-1 is laying to the side of the tunnel, and is ingesting another instance. It lashes out when the drone draws near, but cannot fully ambulate due to its feeding. 00:24 Three fighting SCP-2385-1 block further progress. A-47 directed to turn around. The path A-47 had been travelling down can be seen to end abruptly. With no further options, A-47 continues towards the instances. 00:26 The largest of the instances is killed. Its head and tail are swallowed by the remaining SCP-2385-1, which begin to manipulate it down their throats. A-47 is able to continue unimpeded. 00:29 An SCP-2385-1 instance, which had been spotted from afar growing from the ceiling, detaches as A-47 passes beneath it. The instance attacks A-47, rendering it immobile after several strikes. 00:31 The instance wraps around A-47, and attempts to consume it. 00:43 The instance gives up, and leaves the area. 09:32 The wall to A-47's left opens up, and two SCP-2385-2 exit. One instance approaches A-47 while the other one prods the wall to the right, which opens as well. D-11424 emerges from the tunnel to A-47's left, brandishing his machete. Both instances exit through the new tunnel, followed by D-11424. 10:03: A-47 runs out of battery. Foreword: An SCP-2385-2 specimen was taken from Foundation captivity (henceforth:'Subject Alpha' [S-A]) and anesthetized. After a micro-camera was surgically implanted, S-A was placed within SCP-2385. 00:05-00:21 S-A wakes up and looks around before heading straight. It traverses SCP-2385 uneventfully for a few minutes, before coming across an open area filled with fetal SCP-2385-1 instances. S-A stops at several, and can be seen rubbing its face against theirs. One instance thrashes and snaps at S-A, though the bulk of its mass is still embedded within SCP-2385, restricting its movements. 00:39-00:45 The path splits out into three different tunnels. S-A selects a path, and tries to continue, though it is apparently frightened by two SCP-2385-1 instances engaging in combat. Another can be briefly seen attempting to feed on a fetal instance growing from the ground. S-A flees, and selects another path. 01:47 A nearby wall opens up, and two SCP-2385-2 instances exit (-2B, -2C,) and begin to travel the way S-A came from. S-A follows suit. 03:22-05:31 The group encounters a lone SCP-2385-1, which attacks -2C. -2B wraps around and physically restrains it. For the next two hours, The group takes turns nuzzling the SCP-2385-1 instance. Notably, it develops the fibrous growth characteristic of SCP-2385-2 instances over its eyes. Afterwards, it is released, and becomes docile (henceforth -2D). 05:33-12:42 The group continues through SCP-2385. At various points, they are observed prodding the walls of SCP-2385 to produce new paths. At 11:15, SCP-2385 shifts and encloses the group. -2D and -2B feel about the walls, eventually producing an alternate route. At this point they confront an SCP-2385-12 instance blocking further progress. -2B and -2C are observed to nuzzle each other, prior to -2B charging the SCP-2385-1 instance. The group crawl over and around the instance as it consumes -2B. -2C remains behind. 27:21 -2D is ambushed from a side-tunnel. The larger instance drags it around the bend and out of sight, and the opening seals shut. 33:57-34:18 S-A encounters an SCP-2385-1 instance, which chases it throughout SCP-2385. S-A selects a path which terminates after several meters, trapping it. S-A does not defend itself as the instance attacks and subdues S-A, and begins to feed on it. At 34:11, a male voice can be heard shouting, prior to D-11424 coming into view. He kills the instance with his machete, and kneels down next to S-A. D-11424: Yea, you're fine. Get up. D-11424: I know where it is, come with me. 34:19-34:41 D-11424 leads S-A through the area, stopping at one point to carve a piece out of SCP-2385, which he consumes. 34:43 The path opens up into a large room with a bright luminescent sphere levitating a meter off the ground, estimated to be 10 meters in diameter. 34:44 S-A approaches D-11424. It alternates between looking the sphere, and the path they came down. 34:46 S-A prods at the sphere and pushes its way inside. 34:47 Unknown. Personnel that viewed the live feed were found to be incapable of describing what they witnessed. Subsequent playbacks terminate at 34:46. 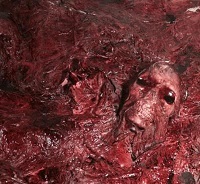 Addendum SCP-2385-A: On the day of Exploration 3's conclusion, Maya O███████ of Elgin, Illinois was admitted to the local hospital, complaining of abdominal pains and suffering vaginal bleeding. An emergency surgery was performed upon the discovery of a foreign object lodged within her uterus, which was found to be a micro-camera. Agent Nakamara was dispatched to investigate. Nakamara was able to confirm that the item's serial number matched the one implanted within S-A, and confiscated it. Multiple articles covering the event in hyperbole were issued through Foundation-owned 'Bizarre News' publications. Object reclassed as Keter. 2. This was the largest specimen to be recorded, at approximately seven meters in length and estimated to weigh over 400kg.